As a show secretary, nothing is more important than the software you choose. It can make the difference between having your office run in a smooth, organized manner, or being in utter chaos. I have used Gaitkeeper now for seven years and wouldn’t dream of using anything else because it makes my life so much simpler. From the initial show set-up to the final reports, the user-friendly Gaitkeeper system keeps me on task and doing what I need to be doing without the difficulties often found in other computer software. 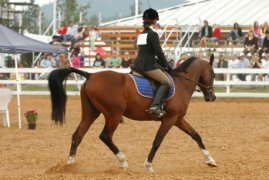 In addition, trainers and exhibitors appreciate the itemized break down offered by Gaitkeeper’s Settlement Sheets, and Gaitkeeper’s ability to provide electronic transmission of results to AHA, USEF and USDF makes the end of show wrap up quick and painless. The most important advantage to using Gaitkeeper, however, is Dale Brown. Not only does he provide customer service that goes well beyond what I would consider top notch, but his continuous dedication to keeping Gaitkeeper up to standards with the constant changes AHA and USEF require is awesome. He is a delight to work with and is always willing to consider new ideas to make Gaitkeeper even better. There isn’t anyone, or any other product, out there I’d rather work with, and I’m proud to wholeheartedly endorse Dale Brown and Gaitkeeper. 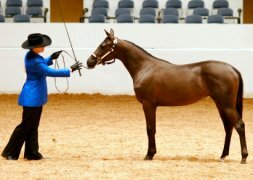 I have been a horse show secretary for over twenty five years and as you can imagine, I’ve tried just about every software program available. GaitKeeper is the program of choice for the professional and amateur alike. It is user-friendly, errors are easily corrected and the program generates numerous reports; allowing the event to flow easily and smoothly. From initial show set-up to electronic transmission of results to AHA, USEF and USDF, it is a straight forward program to use. Computer software is only as good as the support you receive. Dale Brown is the best! Over the past eight years using GaitKeeper, Dale has gone above and beyond the call of duty. He’s never failed to help resolve a situation, several times adding a phase to the program to meet specific needs. Dale has maintained GaitKeeper to comply with up to date AHA, USEF and USDF requirements. In my opinion, there simply is no other horse show program that measures up to GaitKeeper.